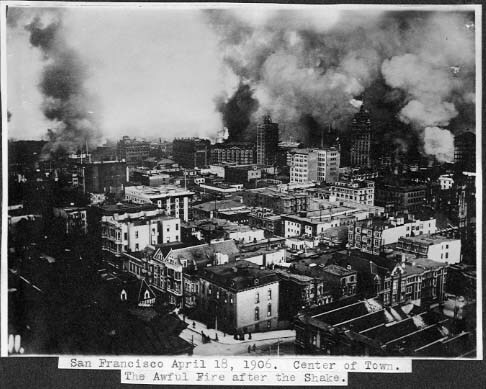 On April 18, 1906, just after 5 AM, the peaceful slumber of the citizens of San Francisco was shattered forever. A masssive earthquake, still one of the largest ever recorded, crippled the entire region. The quake was felt hundreds of miles away, and nearly burned the entire city of San Francisco to the ground. Wow. Glad I don't have to worry about earthquakes!